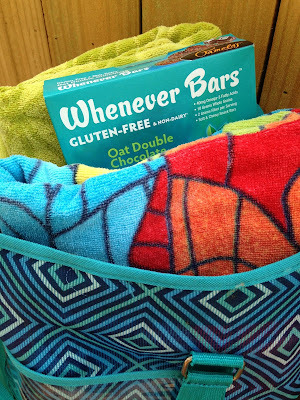 Whether at the pool, the baseball park, on a road trip, or at a friend's house, having a gluten-free snack readily available can be difficult. 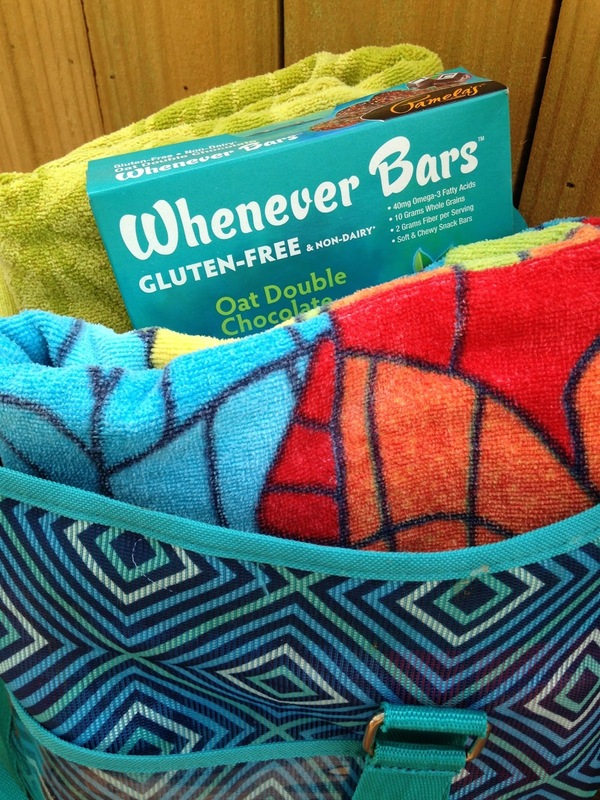 But throwing a Pamela's Whenever Bar in your baseball bag, purse or pocket makes things A LOT EASIER! 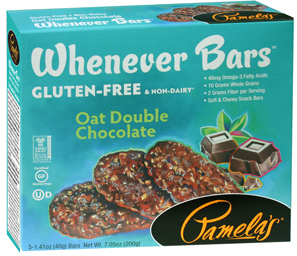 Pamela's recently came out with 2 NEW Whenever Bar flavors. Chocolate + Peanut Butter = Awesomeness! As you know, I'm a HUGE FAN of Pamela's products. From her variety of Baking Mixes to her Whenever Bars, I'm always HAPPY with the quality and flavor. 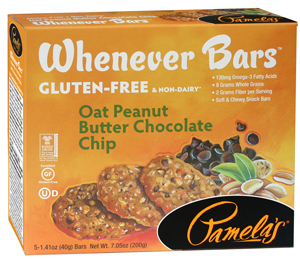 Pamlea's Whenever Bars are soft and chewy and FULL of flavor! is packed with chocolate, chia seeds, gluten-free oats and then lightly sweetened with agave and coconut sugar. I mean, does that not sound delicious? is a wonderful combination of peanut butter and chocolate chips, these bars also include chia seeds, gluten-free oats and sweetened with agave and coconut sugar. 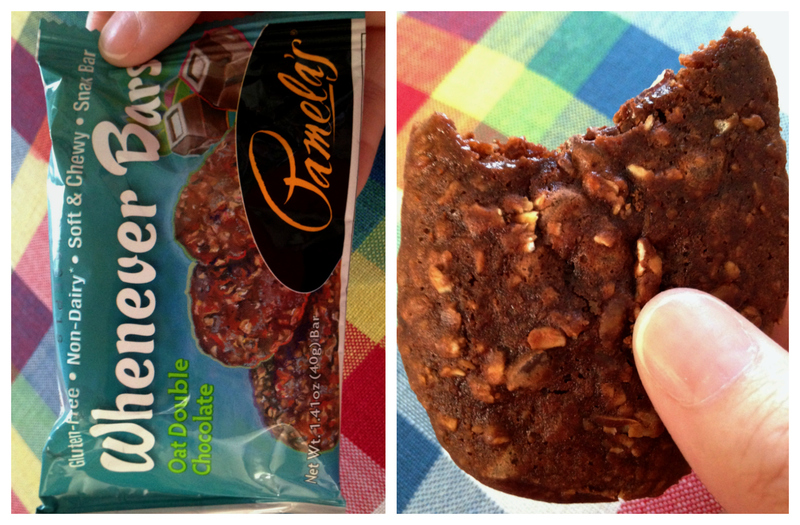 I've teamed up with Pamela's to give 2 WINNERS a chance to try these 2 new flavors. Do you want to enter a chance to win? It's super easy, just enter below. Winners will be emailed and announced on Raising Jack's Facebook page this Friday! Good luck. a Rafflecopter giveaway *This has been a sponsored post with Pamela's. All opinions are my own.